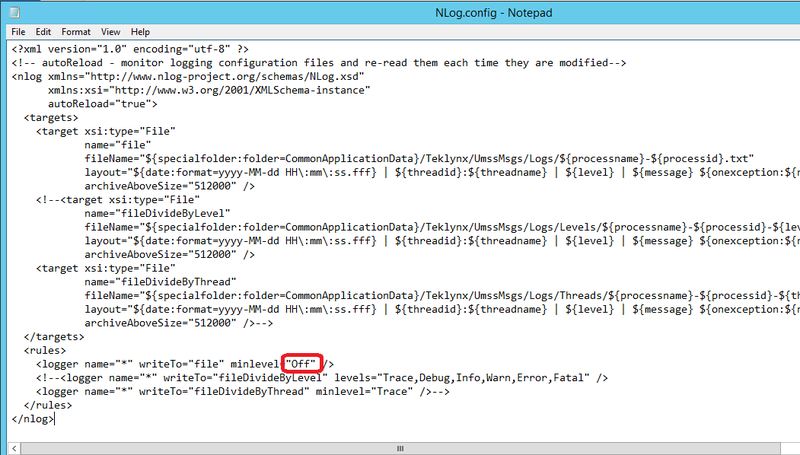 This Instruction Article explains how to enable tracing or logging for TkxSvrService process. This is useful in troubleshooting problems with TkxSvrService service. Typically this involves issues related to the overall functioning of TEKLYNX CENTRAL including starting other services, database connections, etc. On the server, locate the folder where TEKLYNX CENTRAL is installed. Usually it is C:\Program Files (x86)\Teklynx. Note: This feature should be disabled once you finish troubleshooting the problem. The file may/can get large very quickly.